The Maharashtra Government has already spent more than Rs 16 crore to maintain Ajmal Kasab, the Pakistani terrorist who was caught alive during the 26/11 terror attacks on Mumbai. Kasab is now lodged in a special cell at the Arthur Road jail, Mumbai's largest and oldest prison. Data says that this 16 crore was spent on providing security, buying medicines and attending Kasab's health needs. The legal expenses borne by the state to fight the case in court are not included in this amount. By the third anniversary of Mumbai Attack (26/11), it is estimated that the bill will touch Rs 14 crore. 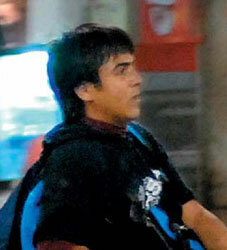 0 Response to "Kasab's Protection Expense : Rs 16 crore in 3 years"